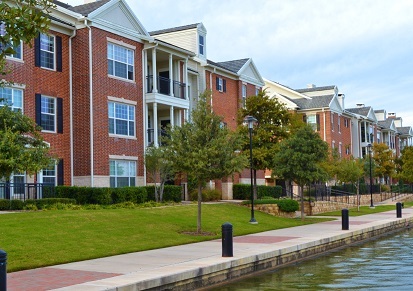 A growing demand for rental housing, driven by affordability concerns and changing attitudes toward renting, may be a boon to the multifamily space, according to new data from Freddie Mac. An increasing number of renters consider renting a more affordable option than purchasing a home, according to Freddie Mac. And data released Wednesday indicates that a growing number of renters are satisfied with their current living situation. The number of renters who believe that renting is more affordable than owning has increased from 68% to 76% this year. While it may be bad news for single-family homebuilders, the sudden love affair with rental could be a boon to the multifamily market, according to David Brinkman, executive vice president and head of Freddie Mac Multifamily. The move toward renting isn’t simply about perceived affordability – perceptions about renting are changing. An increasing number of renters feel that renting is a good choice for them. More than half – 58% – feel that renting “fits (their) current lifestyle,” the survey found. Renter satisfaction is also relatively high. About 60% of renters said they were satisfied with the overall experience of renting. And while 41% said that affordability was a major driver in their decision to rent, 33% said that buying a home simply wasn’t a priority.